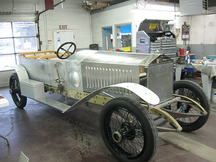 Quite simply, we are the premier source for Rolls-Royce Silver Ghost restoration, repairs, service and parts. 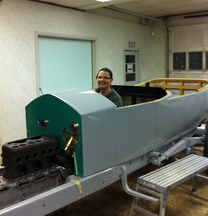 With our extensive facilities located in NE Ohio, we are fully equipped to handle all aspects of vintage automobile maintenance, care and restoration. 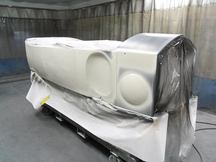 From coachwork and paint to machine work and simple services, we stand ready to assist you with the care of your car, keeping her looking great, running right and on the road. 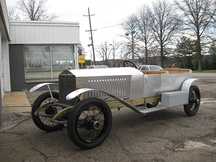 Vintage & Auto Rebuilds offers the most extensive line of parts both original and reproduction for the restoration and maintenance of your Silver Ghost. 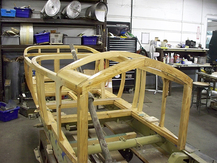 With over 1,500 original and reproduction parts, combined with over 1,200 casting patterns and jigs, we can supply nearly any part for any Rolls-Royce Silver Ghost. It is our endeavor to have most consumable parts in stock and ready for immediately delivery worldwide. Items not in stock can be fabricated in a timely manner. Click on the link above to visit our unmatched, comprehensive parts and spares catalog. By enthusiasts, for enthusiasts, we are enthusiasts! We're not just your average "repair shop", we are a one-stop supermarket for all things Ghost. 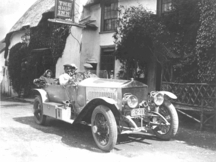 We have restored and maintained several Rolls-Royce Silver Ghosts but none hold a greater place in our hearts than our own 1914 18PB. 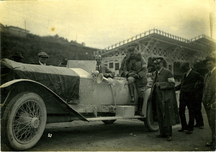 Historically known as "The Alpine Eagle", 18PB was driven by James Radley in 1914 and was the winner of the 1914 Alpine Trials. 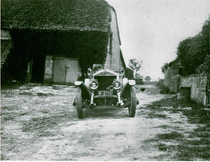 In 2013 18PB traveled to Europe and without missing a beat retraced many of the roads she had driven over 100 years ago. 18PB climbed steep passes in Switzerland, Austria, Slovenia, Germany and ultimately the Passo de Stelvio in Italy, driving effortlessly over 4000 miles. mountains in Colorado like a wild cat yet purring along on the rolling hills and straights of Appalachia like a domestic kitten. We present to you 18PB. 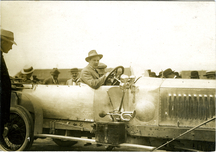 1926 Springfield Silver Ghost S 206 ML gave us many miles of flawless touring. Photo taken at The Vintage Aviator Masterton New Zealand during the Wholly Ghost Tour.